Convection bank tubes or generating bank tubes are normally made of carbon steel. Common sizes range from 2 inch or 50.8mm to 3.5 inch or 88.9mm. The most common size is 2.5 inch or 63.5mm. The tube ends are linished smooth before insertion into the boiler drums and expanded into the drum. Care is to be taken that the ends are free of any score marks. 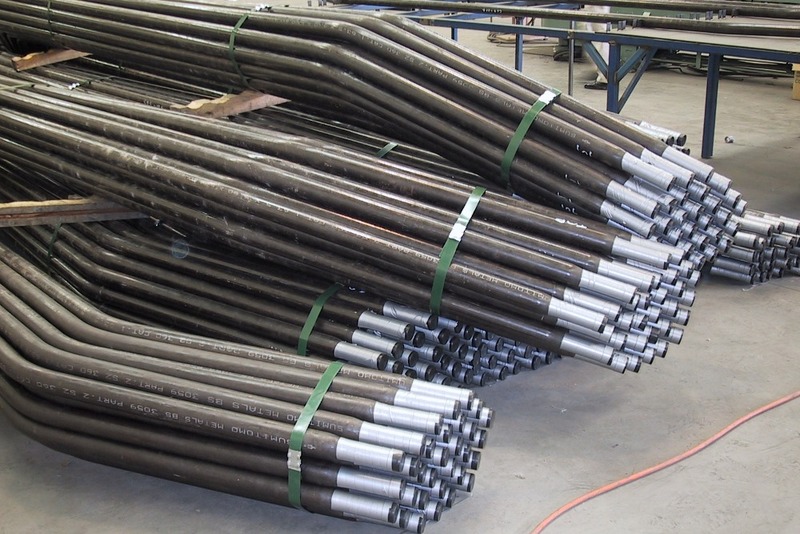 These joints are mechanically held by the expansion of the tube in the drum holes. 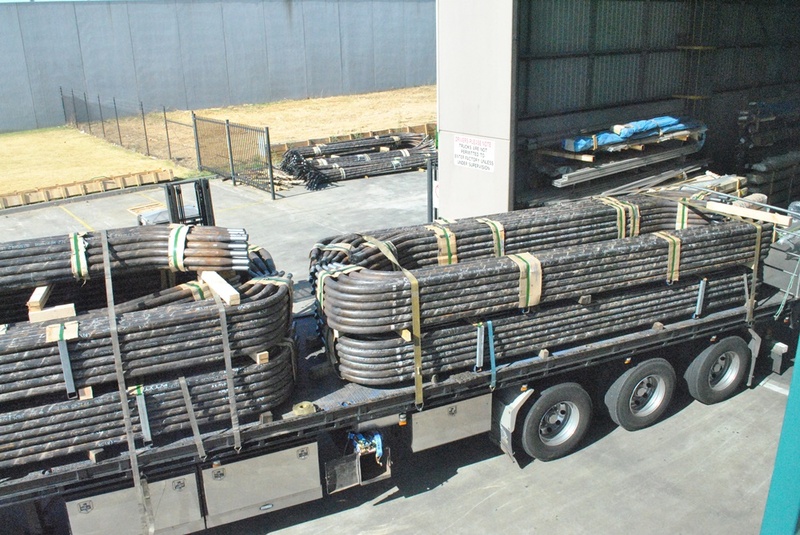 The tube deforms to a plastic condition and the drum hole, in elastic condition, exerts the required sealing force for the joint against the drum operating pressure. Dimensional tolerances are very important. Typically the bank tubes project into the steam drum and water drum by 3/8 inch or 10mm. So one cannot make the tube shorter or longer without causing problems for expansion. 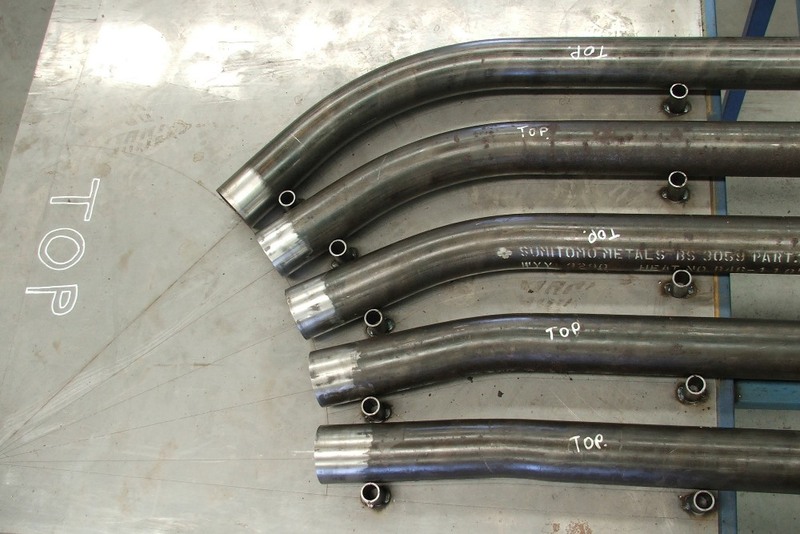 As the convection bank tubes are nested inside each other, bending of the tube must be to exacting tolerances. UNEEK bend all convection banks on CNC bending machines for repeatability. Every tube is then checked on a full size laser etched template to ensure dimensional accuracy. The tube ends may be swaged down in size. This reduces the required tube hole size in the boiler drum and hence drum thickness can be minimised. 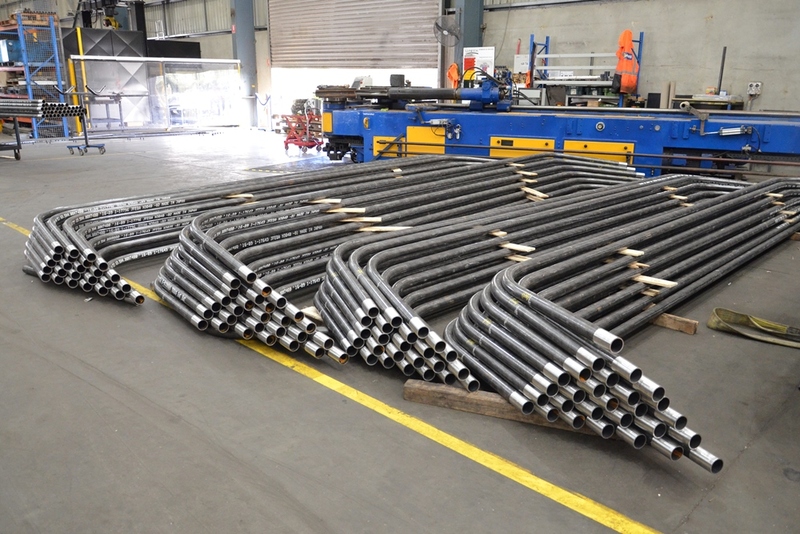 During the swaging process, the tube material flows in a plastic manner causing an increase in the tube wall at the swaged end. This increase in thickness needs to be controlled to effectively expand and seal the tube into the boiler drum. Another issue is an increase in hardness of the cold worked swaged end. 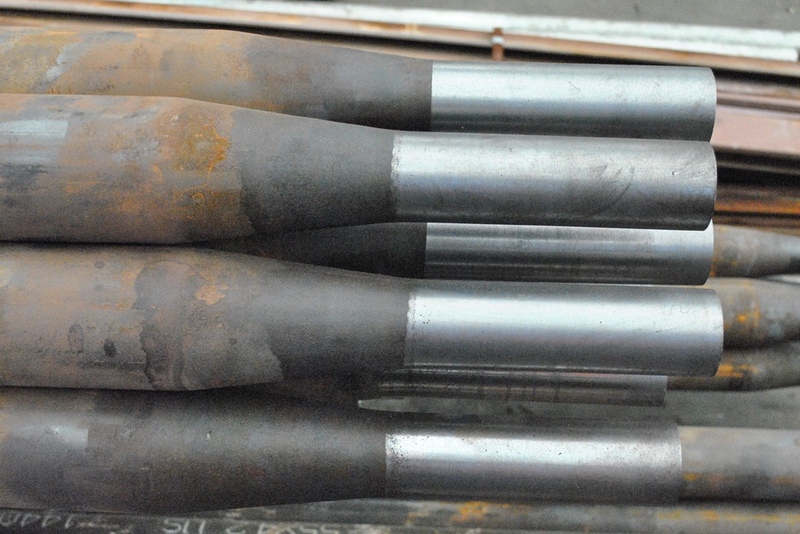 The best option is to heat treat the ends to soften them for expansion into the drum, otherwise we run the risk of splitting the tube during expansion. 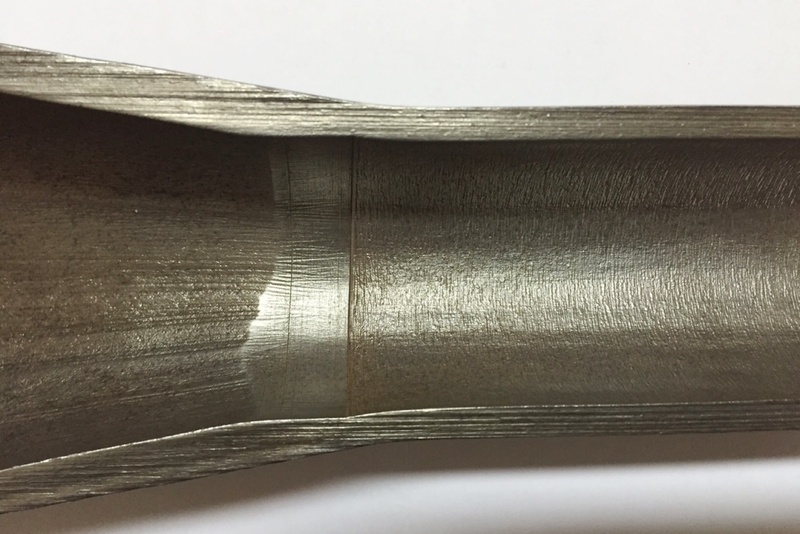 Hardness of swaged ends (typically less than 130 HB). This ensures that the swaged end is soft enough and will not split during expansion. It is achieved by heat treating the tube ends in an annealing heat treatment cycle, and checking test swages for hardness. Outer diameter tolerance (for example Dia 50.5 +0.0 -0.2). This ensures that the expansion percentage can be controlled and is often based on tube hole diameter, for example 51.0mm. Wall thickness of the swage, with tolerances (for example, 5.0mm +0.2-0.0). This ensures that the wall thickness is uniform and tube expanders will fit accordingly, and achieve a uniform expansion across all tubes. Convection bank tubes connect the upper drum and lower drum in bi-drum boilers. These bank tubes not only act as raisers and down comers between the drums but also carry the weight of the bottom drum in the case of top drum supported boilers. Any failure of these tubes will result in damage to the nearby tubes or drum or both, depending on the location of the leak. 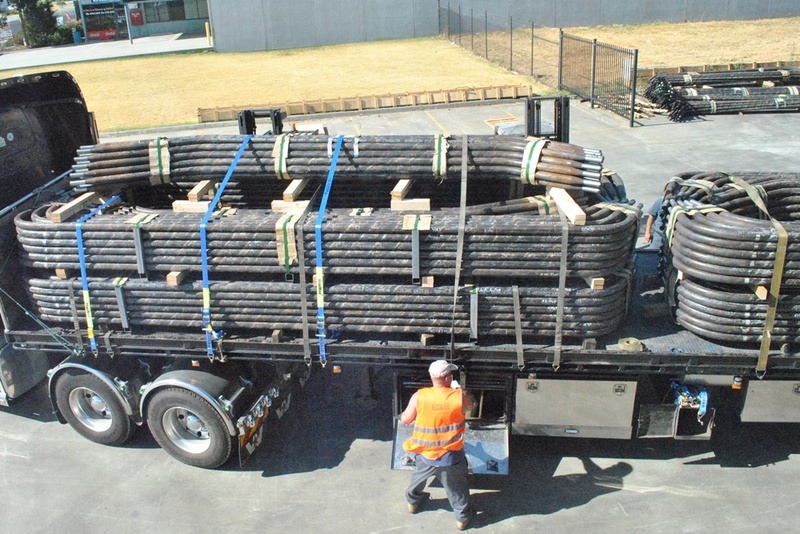 Therefore any repair and plugging of tubes need to be carried out with extreme care.